About - Peek-a-Boo Pages - Patterns, Fabric & More! 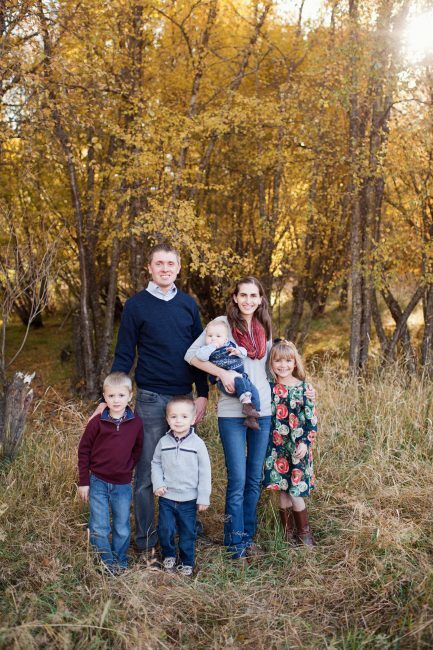 I’m Amy Hindman – Pattern Designer, Blogger, Wife, and Mommy. My husband and I were married in 2008 in the Salt Lake Temple. We have four children: Anne, Will, Levi and Jack. I’m originally from Seattle and love the Northwest. We live in rural Eastern Oregon and love it! When I’m not busy with family/household responsibilities, sewing, and blogging, etc. I love to run, snow ski, water ski, travel, visit family, and read. In 2010, when Anne was a baby, I started blogging at NaptimeCrafters.com. Blogging eventually led me to start Peek-a-Boo Pattern Shop – where I focus on developing PDF Sewing Patterns for baby, kid, and mom. My love of sewing led me to selling fabric as well which can be found at Peekaboo Fabric Shop. To go along with Peekaboo Pattern Shop…and Fabric Shop, and avoid confusion, Naptime Crafters became Peek-a-Boo Pages in 2015. At Peek-a-Boo Pages you’ll find the best of all things DIY, free tutorials and patterns, and sew alongs. Don’t forget to check out the sewing patterns at Peek-a-Boo Pattern Shop and fabric at Peek-a-Boo Fabric Shop.